There’s a lot going on this fall and I have to make the best of it. I’ve been taking trips to NY every June/July and every November/December now for the last 5 years and it’s working out great! These seem to be the best weather months, and a perfect time to reconnect with my NYC community and friends. I enjoy getting them together for dinner/brunch parties, dancing missions, road trips, exhibits, and pop-up shops. Now that many of their little ones are grown up I can organize events for them too. Our community is filled with beautiful parents, it’s nice that we have reached an age where the whole family can enjoy it. 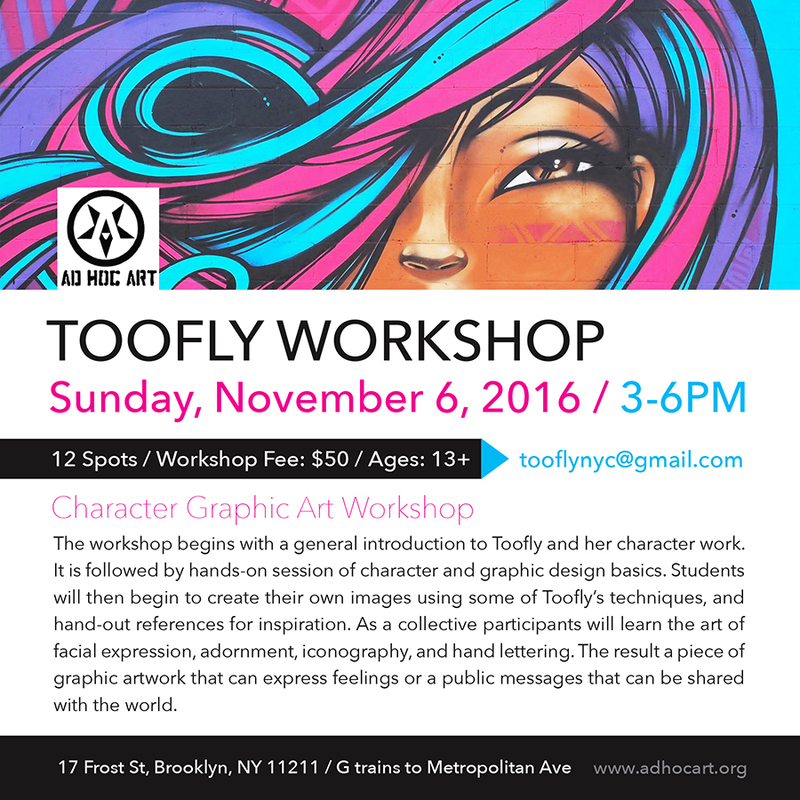 It gives me great pleasure to set-off the #TOOFLYWORKSHOP this year with the AD HOC ART organization at 17 Frost Gallery in Brooklyn. This year they celebrate their 10yr anniversary. 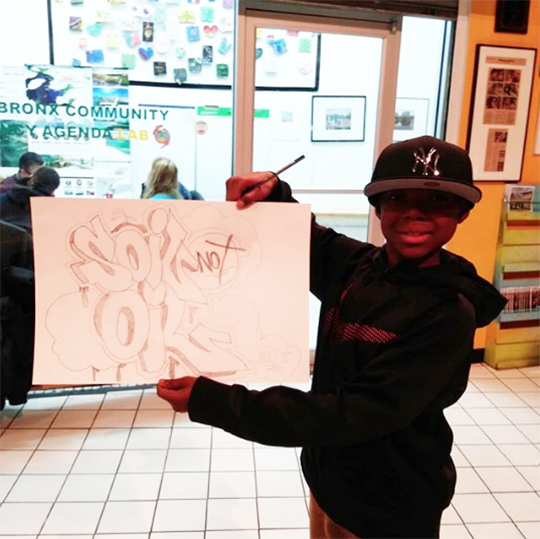 Back when Brooklyn was just getting on the map, Ad Hoc Gallery was a perfect location for graffiti and street artists to showcase their work before the big boom in street art gallery work. 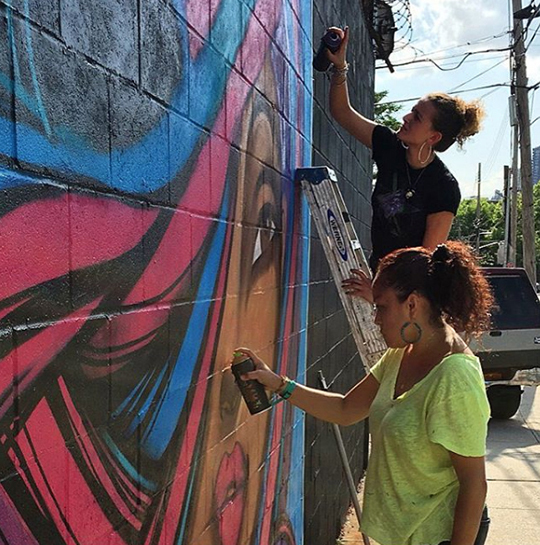 A lot has changed, and the team has since moved on and back to the streets for the Welling Court Mural Project in Astoria Queens. 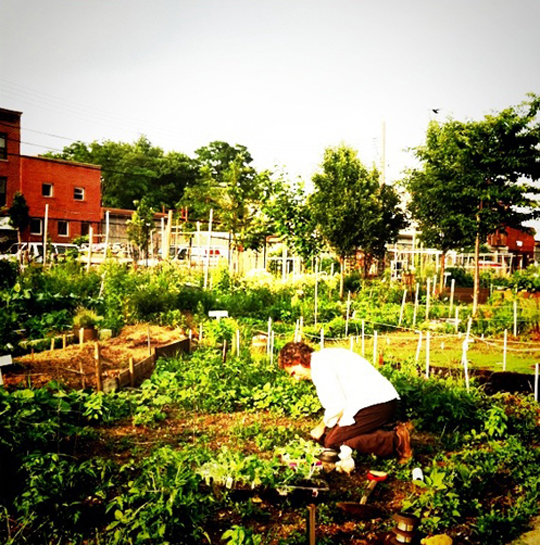 It’s great to see your friends grow and transform spaces for the artist community to get together. I love it! Thank you Allison and Garrison for all your hard work! 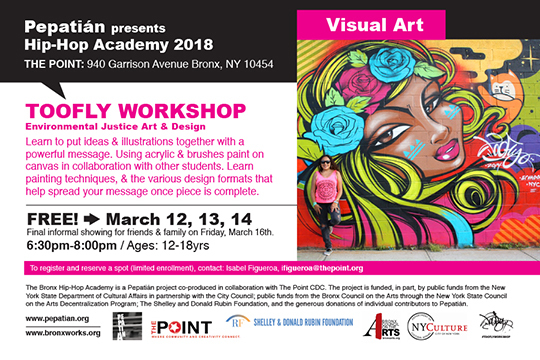 I look forward to this lovely workshop with 12 young girls and women in a space where our art/stories inspires the next generation. 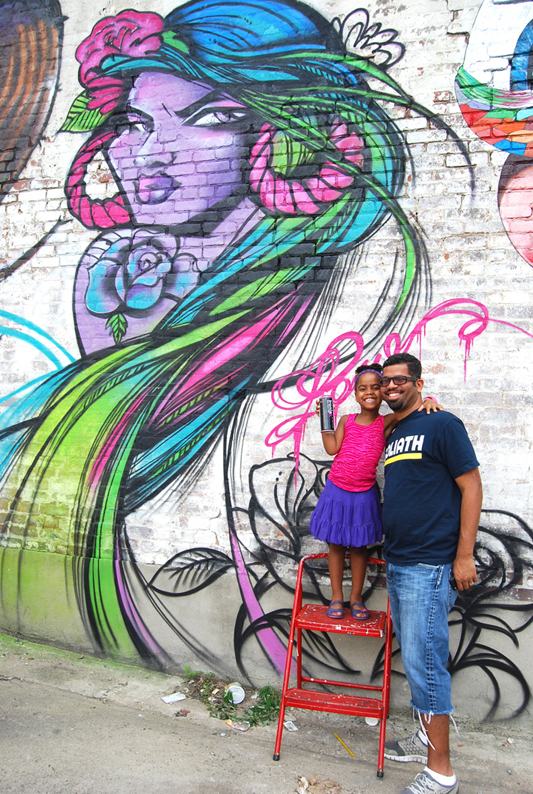 This year’s #wellingcourtmuralproject was chill. I didn’t make a crazy plan to shoot video like I did last year. It was a lot of fun, but an intense process under the hot sun. 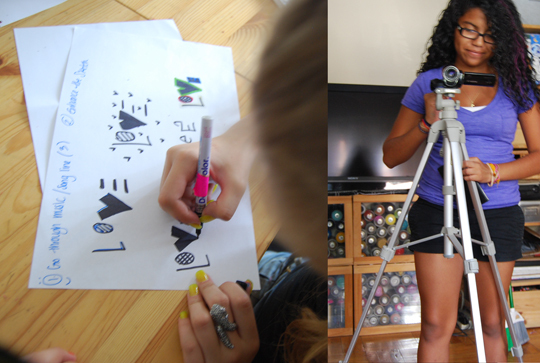 Painting, and shooting film can get complicated with the weather, camera angles, and time. 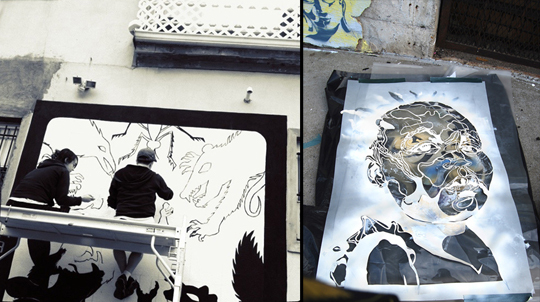 On a time lapse you have to stick to the piece from beginning to end, and try to finish it all in one day. This means I have to prepare a piece that is a lot more graphic and simple. It’s tough, and when it’s crazy hot even worse! I love the video fun though, hopefully next year. This year I needed to chill. 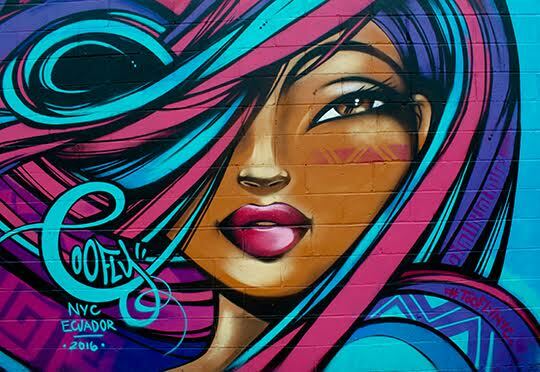 Every wall is an opportunity to produce something new and bring forth a new experience. 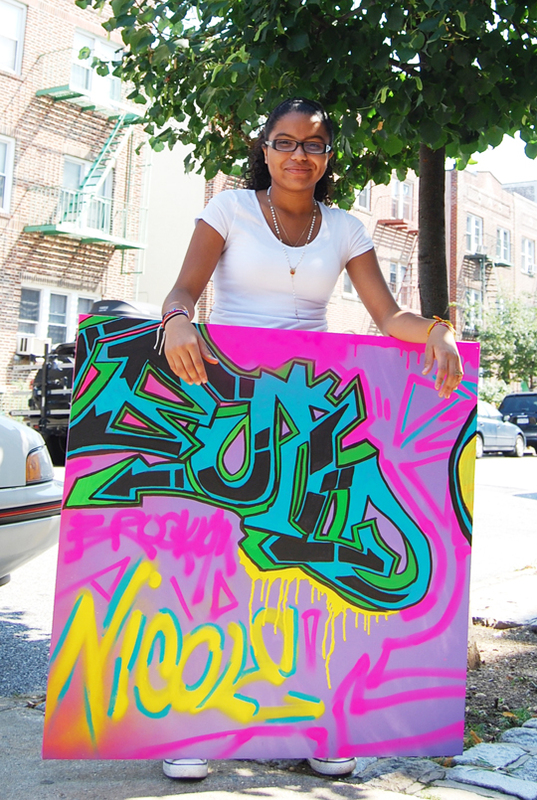 I reached out to Daniella, a young sistah who loves graffiti, and street art. She was down to help me prep the wall and learn how we do what we do. 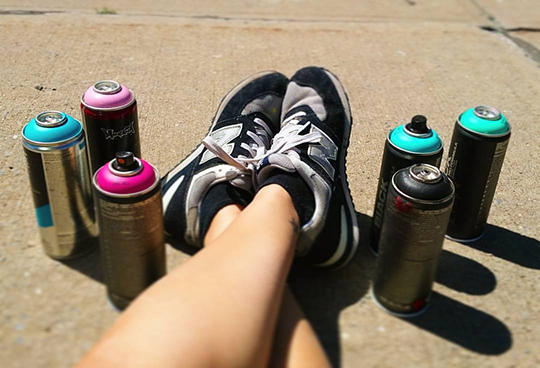 She was very excited so I decided to turn it into a PROJECT GIRLZ aerosol workshop! It was a lot of fun. 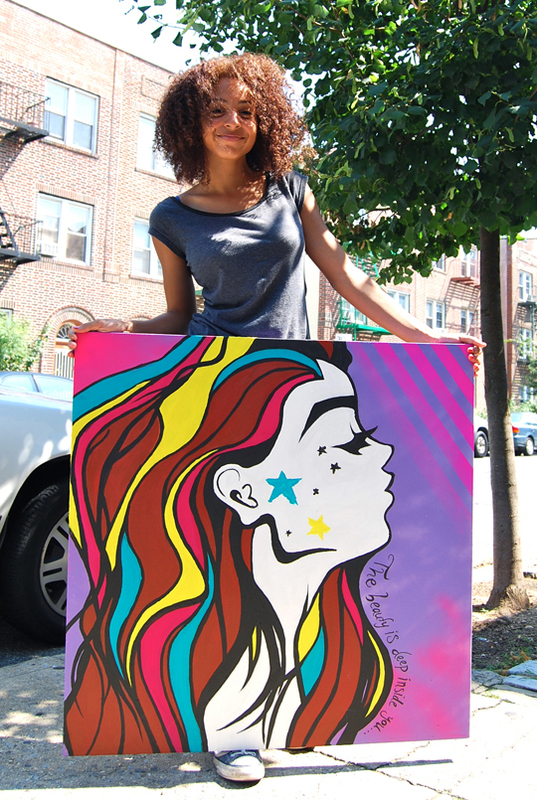 She is now officially part of the women youth team that comes together every year on my walls, pop-up shops, and exhibits. Their assistance is greatly appreciated, and I enjoy passing on all that I have learned to them. Each one is going to art school and pursuing the arts so it’s perfect! 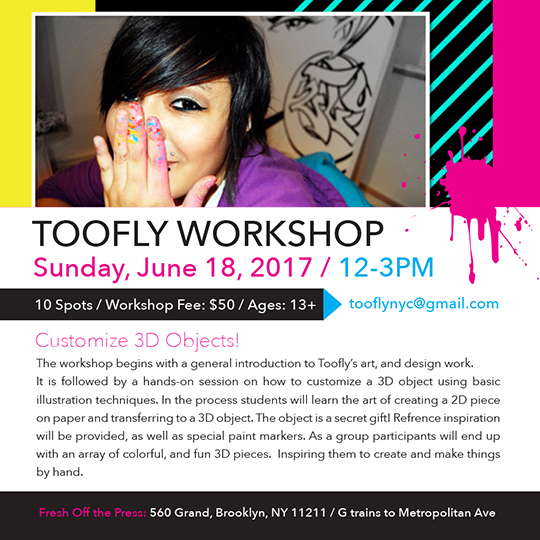 Daniella got the hands on aerosol skills scoop which reminded me of the many times I taught other women the same on their “come up” – It makes me smile as I look back in time and remember. Ha! time flies, amazing what the years reveal. If you have good values instilled in you then all shall be well. Today I see young people with a lot more supportive parents in the aerosol arts which means this generation is gonna be allright’. We have done our job right! 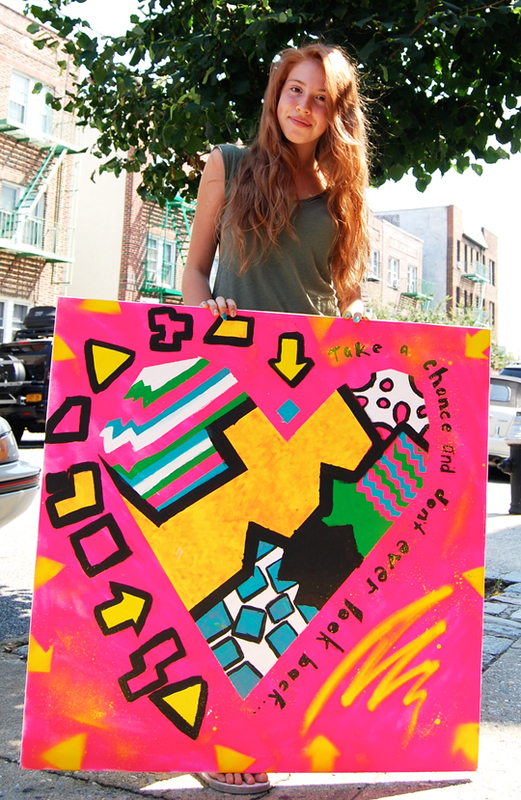 Community spaces like Welling Court allow young women like Daniella to experience a welcoming environment to paint. 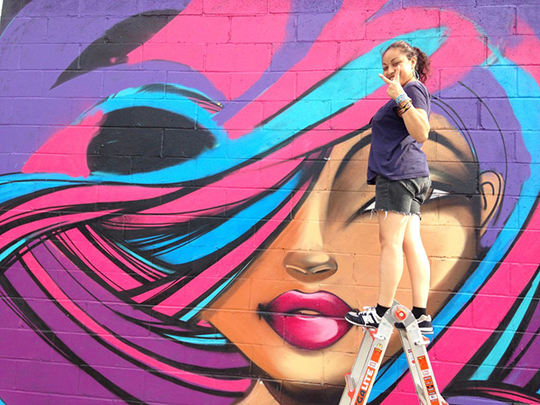 YES, it’s easier for young people in the urban arts these days. We didn’t have it that way. We carved out what didn’t exist. In the end that’s it’s everything we strived for when we were her age. We made the way….a place to paint in peace and not be harassed by the cops, a place to make friends, and a place to learn valuable skills from each other. 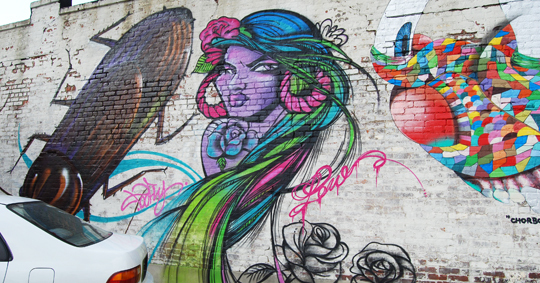 It’s what 5Pointz was all about. Today we only have Welling Court, because other spaces are on another agenda. @daniellaharris has since been practicing, and painting her own characters. 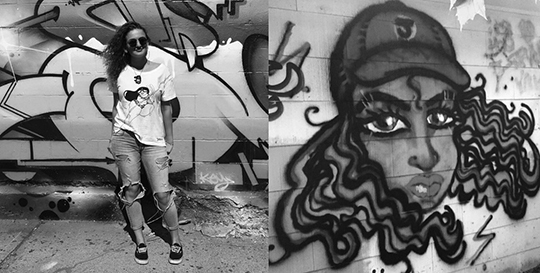 Happy to see her on the path to the artist she aspires to be. Thank you for the company, Joe’s flicks, and the yummy pizza!!! Good times:) Lot’s of love and thanks to organizers Allison and Garrison Buxton for a lovely summer at Wellingcourt. It’s what brings “good peoples” and a positive community vibe together. 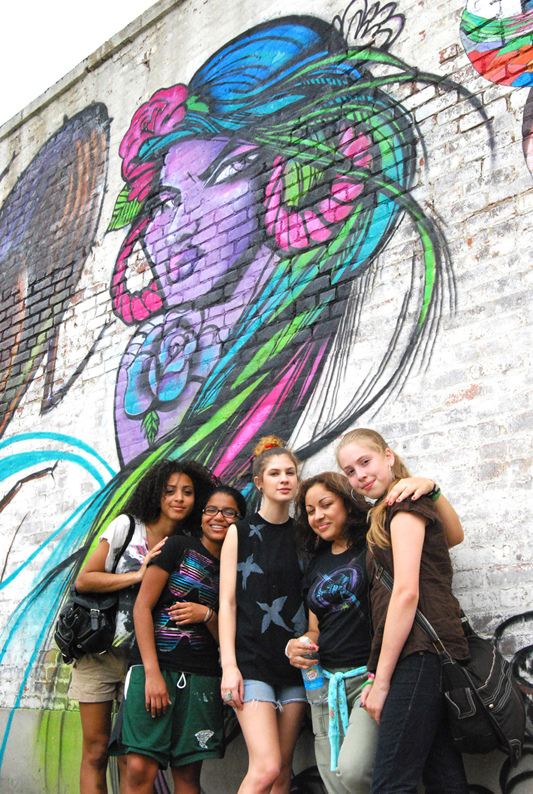 Shout out to the #PROJECTGIRLZ team Ana, Nicole, Tati, and Daniella! Keep up the good work ladies. I see you! 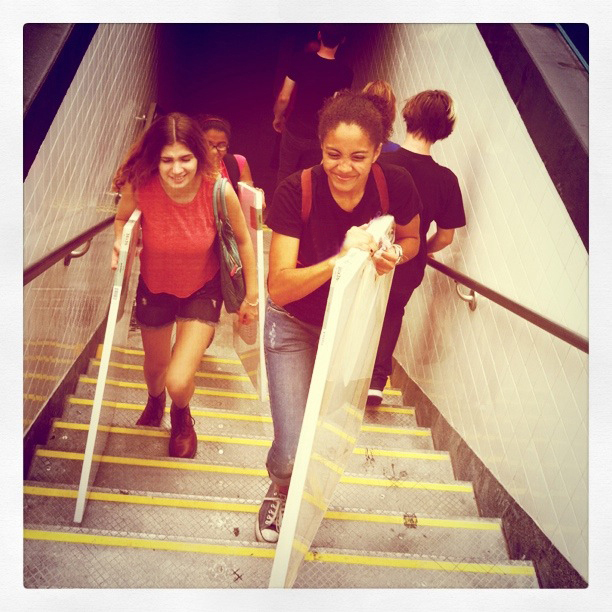 PROJECT GIRLZ™ is a multi media arts summer youth program. 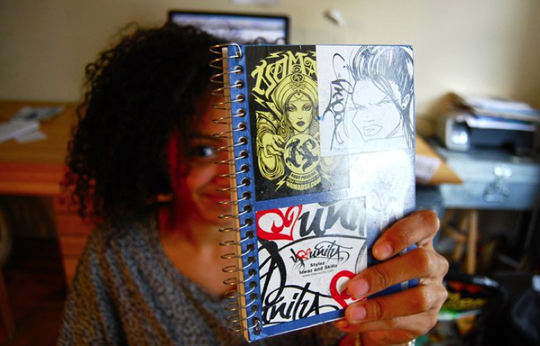 It was formed by artist Maria “Toofly” Castillo in 2011 with the help of the NJPAC Ladies First Fund Grant. 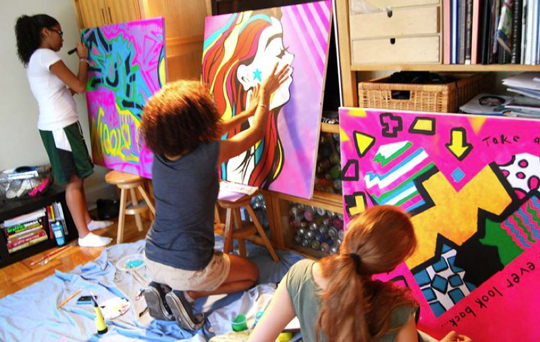 It is being developed as a bridge for young women artists ages 14-18 to enter the art world by creating fine art, design, fashion, street art, and organizing community events in New York City. 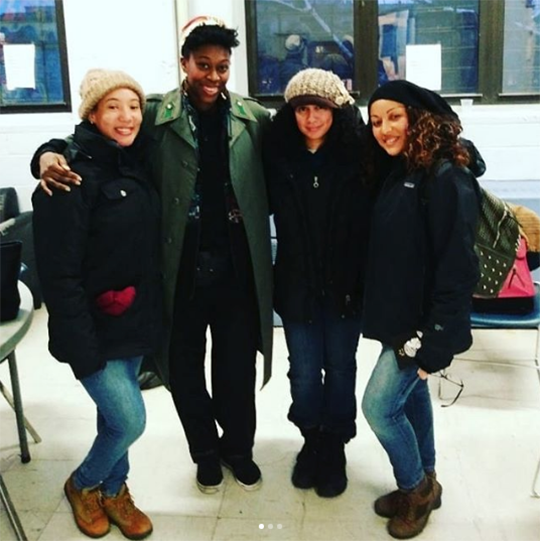 Shout out to Nicole, who shot many of our Project Girlz sessions and created her very first documentary about women artists! 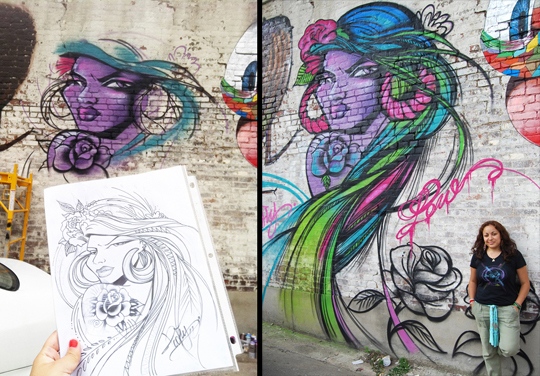 Shout out to Meres who let the girls paint their canvases at the most wonderful place in Queens, 5Pointz!